Mastering the ZY qigong system involves a training process that is substantially different from other common approaches to learning (one major difference is that it utilizes direct knowledge transfer). First – The Teacher shows the steps of each exercise, and students repeat them until they can do them automatically. Usually, this is how most people learn sports, dances, and other skills. Similarly, in class or during lectures, students copy new material from the board or under dictation and then memorize it at home. Second – The Teacher helps the student and supplies energy to improve and speed up the process of learning, memorizing, and practicing. Third – The Teacher increases directly the abilities of the student, who immediately gains more energy and finds it easier to learn the material. Fourth – The Teacher confers new abilities to the student without formal instruction. The student acquires them instantly, in some cases without even knowing in advance that such abilities could exist. For example, the Teacher may ask a student to do something that requires skills the student does not know. A moment later, the student knows exactly what to do and how to do it. The Teacher has transferred knowledge to the student. This only takes place in unusual cases and if it is really necessary. In our everyday lives, we deal only with the basic levels of training. The reason behind this is that most people process information from the environment through the five familiar senses – sight, taste, sound, touch, and smell. Thus, perception is limited to the abilities of their sensory organs. People process most information through sight, which captures the form, the color, and the size of an object. However, our eyes cannot see the object’s electromagnetic radiation unless there is special lighting. Our auditory organs, which perceive sound waves, are also limited; so are our tactile senses that assess objects we touch and the temperature around us. Our sense of smell is also limited. Many animals have tremendous advantages in ranges of perception that are outside the scope of normal human senses. Our knowledge of the surrounding world is limited, as our inherently limited sensory organs are our primary tools for processing external information. Consequently, our incomplete knowledge produces a distorted understanding of reality. Of course, there are technologies that widen the range of our natural perceptions and enable us to study the micro- and macro-worlds (e.g., X-rays, magnetometers, EKG machines, and radio telescopes). While advances in technology have helped us to comprehend our environment and ourselves better, there are still unanswered questions: What can we do to improve ourselves and to expand our natural abilities? How do we acquire knowledge? In schools and universities, we listen to the teacher and record the new material so that we can study it at home later; we read books, watch TV, and listen to the radio; we use calculators and computers, but one thing remains the same – we process information through the five familiar sensory organs. Qigong practice develops three (and potentially up to five) additional channels of perception. The sixth, seventh, and eight senses are called the Third Eye, the Third Ear, and the Second Heart. Today we know that the Third Eye opens when the Thyroid gland in the hypothalamus is active. When sufficient energy comes to this part of the brain, the Thyroid gland is activated and then people can “see” with closed eyes. In addition, they can see ranges of electromagnetic radiation that are undetected by normal senses (e.g. x-rays and infrared light). As a result, they acquire the ability to see beyond the limits of familiar perceptions: other worlds and dimensions, the future, distant locations, and telepathic thoughts and images. Level Three includes exercises that open the Third Eye and enable the practitioner to see one’s inner energy. The Teacher can use energy to open the student’s Third Eye, but only for a short period of time. One needs to practice in order to accumulate sufficient energy and to open the Third Eye permanently. In Level Two, we will practice Yuan-Qi and prepare ourselves for Level Three. Level One exercises train practitioners to increase their sensitivity and to acquire abilities that will eventually allow them to develop the Third Eye, the Third Ear, and the Second Heart. The Third Ear corresponds to heightened activity in brain regions with higher inner energy. As a result, the range of auditory perception expands. After special practice, one develops sufficient sensitivity to activate the Second Heart. This is not a physical heart, but a union of the heart, the soul, and the spirit. Intuition is one of its parameters. These abilities continue to develop and the practitioner begins to understand that they are all interdependent. People communicate mostly through speech, gestures, mimics, writing, pictures, and so forth. Familiar modes of communication involve seeing and hearing. We can use the sixth, seventh, and eighth communication channels to receive or deliver information as well. This allows us to communicate on a fundamentally different, higher level. However, a person needs to be prepared for this kind of perception because the Third Eye, the Third Ear, and the Second Heart involve a completely different way of information transfer – not through sound or light but with the help of qi. Modern tools have detected that human bodies radiate electric, magnetic, ultrasound, infrared, and other types of emissions. Energy is characterized by light, which bodies radiate constantly. A person in a relaxed, calm state can see that light. Through special training methods, the teacher can intensify information and send it to the students. In the process, he or she radiates energy. At its lowest level, energy looks like light mist or fog. In the second level, energy is light of different colors. Qigong training depends only in part on the five familiar sensory organs; in addition, information and knowledge enter the trainee directly. Thus, the training material cannot be described simply in terms of information or plain knowledge. Learning qigong can be compared roughly to learning how to drive or to swim. You cannot do either by reading books. What one needs is real experience so that the body learns how to execute the movements automatically. In ZY qigong, knowledge is acquired through physical experiences which promote understanding . This means that you acquire not only information, but also abilities and skills. Usually, we learn by processing information and then we use the acquired knowledge as needed. The science of qigong is a basis that enables the practitioner to augment one’s abilities. If we use the swimming analogy, qigong training methods teach students not only how to swim, but they also augment their strength and stamina. If we use the analogy of sciences, such as math and physics, qigong training not only gives knowledge, but it also boosts students’ intellectual, cognitive and learning capacity. It takes time for people to learn, and usually by the time they acquire enough knowledge to be considered wise, they are at an advanced age. In order to preserve their wisdom, they have to pass their knowledge and experience to younger generations quickly. But how can we teach people, in a short period of time, what took us a lifetime to learn? We use knowledge in order to accomplish many things. On the other hand, knowledge can prevent us from accomplishing many other things. ZY qigong practice increases our potential so that besides knowledge, we also acquire abilities, skills, and thoughts. This develops the inner world or the self. Then we can go to other worlds at higher levels. People ask, “Do such worlds exist? How do we get there? How can we see them?” I have visited them and I know they are there. You need to develop yourself, so that you can ascend to another world in your next life. 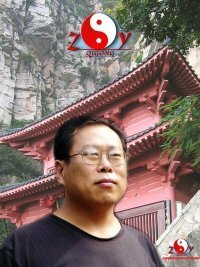 As you approach that goal and advance through the levels of the ZY qigong system, you will develop new skills and comprehend things incrementally, including the Cosmos and your own self. In addition, your health and intellect will improve, you will become happier, your goals will go to a higher level, and you will find out where you need to go. Sometimes it is difficult to understand what it means “to go from one world to another.” This is one way to explain it: If you have spent your life in a small village, your knowledge and perspective of the world is very limited. If you suddenly find yourself in the middle of a big city and look at the skyscrapers, your reality would undergo tremendous change. Seeing a different world can be compared to this. It is also similar to seeing the sea or the northern lights for the first time. The soul’s journey to another world creates a strong impression and a sense of amazement. Visiting other countries pales by comparison. We often like to sleep when we travel – we fall asleep in the train and wake up in another city. It makes the trip go faster. But in the U.S., for example, there are very few railroads. There are practically no railroads in China either. It turns out that cars are much faster than trains. You do not need trains, cars, or airplanes to go to other worlds. When the standard of life increases, the speed of travel increases and the worldview widens. We practice qigong in order to change our perspective of the world and of our environment. But the problem with such high goals is that they are hard to understand and accomplish instantaneously. Therefore, we need to start from the bottom, to introduce ourselves to the system, and to develop gradually to the top. In China, qigong is taught at universities. For those who do not attend institutions of higher education, there are courses, seminars, and special schools. But as a general rule, before learning qigong people engage in other systems – Wushu or something else that improves their health. It may be hard to spend years learning another system just in order to prepare for learning qigong. Our training methodology makes the need to undergo years of preparation obsolete. The teacher gives you qi so that you can practice without having to accumulate it in advance through other systems. Every level involves different techniques of instruction and perception. Level One requires listening with the hands. The body should be in a comfortable position and as relaxed as possible. You listen with your hands without hearing. You need to be alert as you reach a state that’s similar to that of sleep. In this in-between “maybe yes, maybe no” state, knowledge of the qigong system can enter you directly. In Level One, the teacher helps you do exercises that will be used in Level Two. In Level Two, the teacher increases your energy to the third level. In Level Three, the teacher will directly transplant abilities in some students. In Level Four, the student and the teacher unite, which enables the acquisition of more abilities. Training in Level Five takes place through individual telepathic contact between the student and teacher, regardless of their physical locations. After Level Five, the teacher changes and loses his or her familiar appearance and meaning. He or she becomes an entity without a physical body; possibly, he or she could become a representative of another world or reality, but all of this is in the future. Now let’s begin to practice from Level One! 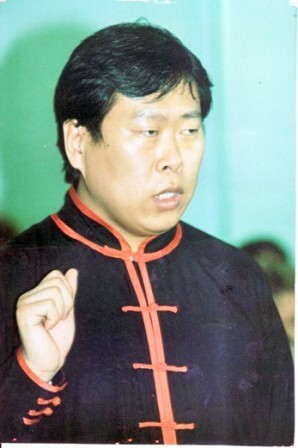 Grandmaster Xu Mingtang during one of his first seminars in former USSR. Zhong Yuan is a plain in central China. In the distant past, the whole area constituted one large administrative unit, which was subsequently divided into three provinces. One of them is the Henan province, where the famous Shaolin monastery is located. Thousands of years ago, the proto-Chinese settled along the banks of the Yellow river, whose yellow waters flow through the Zhong Yuan plain. Therefore, this area is regarded as the cradle of the Chinese civilization and culture. The plain also contains high mountains with numerous caves. Since the dawn of history, people have inhabited these mountains and erected monuments, temples, and monasteries in secluded places. ZY qigong appeared in those mountains more than 7,000 years ago, much earlier than other world religions and qigong schools. Back then, the system did not have a name because there were no other systems from which it had to be distinguished. In modern times, ZY qigong took on the name of the region from which it originated. The ZY qigong system is truly holistic. No other known system encompasses so completely all aspects of human existence – education, development, self-regulation, and healing. Further, it provides a philosophical perspective on the role of humanity in the structure and evolution of the Universe. Because of its depth and non-linear training methodology, much of the system remains elusive or “esoteric”. However, what has been uncovered so far allows practitioners to expand their minds and to gain new perspectives on themselves and the world. ZY qigong practice helps students come to the realization that not only are they human beings operating in a global or planetary context, but cosmic beings and key participants in the perpetual evolution of the Universe. This insight furthers the practitioner’s understanding of their place in the world and the reasons for their existence. The ZY qigong system consists of three components – self-development, image therapy, and knowledge transfer. Each of these components constitutes an independent, autonomous system. The Self Development System has gained much international attention in the past decades. It has five levels, and first three of them are taught in a conventional Western mode by teachers in class and seminar settings. The first three levels introduce students to the system’s basic elements and practice methodology allowing trainees to work on improving their health and on awakening dormant abilities. In Level Four, which taught only by Grandmaster Xu students learn how to communicate with all beings on Earth (including animals and plants), and they begin to understand the principle of interdependence among life forms. The first four levels are accessible to everybody. In order to proceed to Level Five, students must undergo a selection process. Here, they focus on cause-effect relationships that shape individuals, society, certain events, and other worlds (including other planets). Image Therapy is an unusually effective branch of high level medical qigong that was kept secret until 1997. Roots of this method go all the way back to the ancient school of Chinese Medicine with legendary Doctor Bian Que as a representative of it. Image Therapy (IT) practitioners learn about the multi-dimensional structure of the Universe and about traveling from our physical, three-dimensional world to other realities. This component of the ZYQ system focuses on recovering one’s health and healing many diseases, and it includes the use of symbols and mantras. Knowledge Transfer is a unique way of receiving knowledge by absorbing it directly from the environment. If practitioners master this sub-system, they can receive answers to any question. Knowledge transplantation still remains “esoteric knowledge,” and only a minuscule part of it is used in ZY qigong classes. In the last few years, some Chinese universities and specialized schools have adopted it in order to accelerate and to improve students’ learning of large quantities of information. Hopefully this system will open to the world in the 21st century. The terms “Zhong” and “Yuan” have multiple meanings. The basic translation for “Zhong” is “center” or “core.” In the context of qigong, it means “middle path,” “to adhere to the center.” In mathematics, the middle of a segment is the point situated at equal distances from the segment’s ends. Building on this, we can identify another meaning for Zhong – “equilibrium,” “balance” – which itself has many applications. In terms of health, for example, people get sick when yin and yang are out of balance. Philosophically, the human being can be conceptualized as an integral part of the Universe. Earth, Human, and Heaven form a system in which the Human occupies a central place; therefore, the developmental paths of the Universe and each person are interdependent. From this perspective, each one of us is at the center of the Universe. Perfecting, developing, and learning about the self allows us to understand the Universe – the Earth, the Cosmos, our place in relation to them, and the reason we are here. The human being is a microcosm of the universe that contains a “middle path”: the front-middle energy channel (Ren Mai), the back-middle channel (Du Mai), and the main, central "Penatrating channel" (Chong Mai). The Chong Mai serves as an axis for the body. It passes through the Baihui point on the crown of the head and the Huiyin point on the perineum. The center of the human body represents a Tao – a path. One needs to discover and open this path for the soul, so that it may have a way to leave and return. The main goal of ZY qigong practice is to open the Chong Mai and to build the path for the soul’s travel. In the context of daily life, the term “Zhong” stands for “the golden medium.” For example, we should avoid emotional extremes, such as surges of anger, joy, euphoria, or hurt – everything needs to be in moderation. When we walk, our bodies should not bounce all over the place; and our mind and gaze shouldn’t wander aimlessly, or our energy will scatter into the environment. We need to focus internally and to block out the surrounding world. Another meaning of “Zhong” has to do with human cognition. Our thought processes should not be chaotic and overly intense. Instead, we should focus our thoughts on the issue at hand, which ensures its successful resolution without interruptions. Yuan means “initial,” “original,” “cause,” or “natural source.” The concept is common to all qigong schools, but they work with it in different ways. In the ZY qigong system, Yuan implies that when we practice, we need to know how (or with what) to begin. Yuan is the most important thing, the foundation of our body. The human body is pretty amazing, so how do we know which is the most important part? It contains three separate structures connecting the body and the soul: Yuan-Jing, Yuan-Qi, and Yuan-Shen (so called "Three Treasures"). They represent different kinds, structures, and levels of qi. • Jing means a “life force” or a “kernel” (sperm or ova). It belongs to the domain of the material world. During puberty, Jing transforms into a dense substance that has the capacity to create new life, like a seed. If a sperm and an ovum combine, a new life is created. Yuan-Jing contains one’s DNA and any other information collected throughout one’s life – the life code of a human. People are born, grow up, and at a certain age can start a family and reproduce until they become too old. We can actually use Jing to slow down the aging process. The Taoist school practices a qigong technique called “inner alchemy” that prevents Jing from thickening and hardening. This method allows the practitioner to extract, to transform, and to reuse information and energy from the reproductive cells or from the DNA. This allows Yuan-Jing to unite with Yuan-qi. • Yuan-Qi is the primal, permanent energy that exists within the human body and throughout the Cosmos. It has different levels, and can be controlled and directed mentally. One can feel its flow within the body, one can radiate and release it from the body, and many people can see it as mist. If our energy level increases, we may see it as light. At this level, qi is situated on the borderline between the material and the spiritual worlds. It can move from one to the other, which explains why we sense it strongly sometimes, and at other times we cannot feel it all. • Yuan-Shen can be translated as “soul” or “spirit,” depending on the level of qi. It belongs to the domain of the spiritual world, which makes it difficult to see with the third eye (it can be done only in certain states or while practicing qigong). Yuan-Jing, Yuan-Qi, and Yuan-Shen constitute the inner yuans, each representing a different yuan level. Through practice, we can unite these levels in a whole using the Zhong-Mai channel. The inner yuans fall in two domains: the area from Yuan-Jing to Yuan-Qi belongs to the material world, and the area from Yuan-Qi to Yuan-Shen belongs to the spiritual world. When the three unite, one can understand both worlds. o Yin-Shen is the soul of the average person who does not engage in any special practice. Most people are born, live, and die from natural deaths. After death, the path of their souls is determined by nature. According to Christianity, the departing soul goes to Heaven or Hell, depending on its deeds. According to the Eastern philosophy, souls are reincarnated as humans or animals. They have no other choice, since they are dominated by yin. In order to break away from this cycle of endless reincarnations, to jump into a new reality, the soul needs a powerful impulse, similar to the one provided to a satellite by a rocket in order to overcome Earth’s gravity. The practice of qigong provides this impulse. People on Earth have two modes of existence. We all know how an average life goes: birth, growth, reproduction, old age, and death. The second mode involves reproduction as well, but instead of children, one creates an “immortal embryo.” When one develops one’s inner energy, the body is transformed on the molecular level. Yuan-Jing alters and sublimates the reproductive cells into a qi structure that fuses with other qi structures. The end result is a qualitatively different substance – the “immortal embryo”. In time, it becomes stronger and able to leave the body along the Chong Mai channel . Simultaneously, the person’s Third Ear starts to function. At that point, one no longer has a Yin-soul, as one did originally. o Yuan-Shen is a soul of improved quality and higher energy. The Yuan-soul has abundant yang and very little yin. It acquires new abilities, such as the capacity to control the mind and to replicate into numerous copies of itself. These copies can coexist simultaneously in different places, completing tasks, working on projects, training students, gathering information, etc. A good analogy is a hologram image – it may break into many pieces, but we can use any piece to reproduce the original, complete hologram image. Similarly, the Yuan-soul can divide into many souls that can exist separately until reunited. However, this is not the highest energy level a soul can achieve. Some systems practice exclusively Yuan-Shen in order to enable the soul to replicate itself into a myriad of copies (the venerated goddess of mercy Guan-yin, for example, was able to multiply herself into thousands of entities). Developing this skill is not among the top priorities of ZY qigong. We replicate the Yuan-Shen into tens or even hundreds of copies only, and then we proceed to pursue height versus breadth of achievement. Our goal is to increase the quality and the energy of the Yuan-soul, so that it can become a yang soul. o Yang-Shen, or Yang-soul, can be achieved through long practice and transformation. This soul contains entirely yang of very high energy. If a Yang-soul leaves the body, people around may see it as intense golden light, even though it may release lights of different colors as well. This soul can go to any point of space and time in the Universe, and it can understand the language of any civilization on any planet. It does not undergo death in the common sense of the word, because it has control over its consciousness and energy. The goal of the higher levels of ZY qigong is to develop the Yang-Shen. To summarize, the practice of the soul has three levels. It is far from easy to realize the goals of the practice. For the Yin-soul, there are methods that allow the practitioner to learn quickly how to feel the soul and to release it from the body. 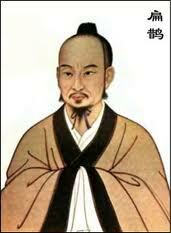 The inner yuans (Yuan-Jing, Yuan-Qi, and Yuan-Shen) form a complete system within the human body. Human, Earth, and Heaven constitute the three external yuans. The human being is the middle link between Heaven and Earth. Humans are constantly experiencing energy currents: through the bottom of the feet one receives yin qi from the Earth, and through the crown of the head one receives yang qi from the Cosmos. One can unite the three inner yuans only after the Chong Mai channel is fully opened. When you open the Bai Hui and Huei Yin points, you can unite the three outer yuans and become the center of the Universe. Then you can experience the enlightened state and understand the meaning of Tao (the ZY qigong definition of enlightenment differs from that of the yogis). According to an old conception, Tao is one, one produces two, two produces three, and three produces multiple objects. Two stands for yin-yang and three represents the Earth-Human-Heaven relationship. This is the normal path of human development from birth to death. When we practice ZY qigong, we reverse the path and move in the opposite direction, against the normal current. 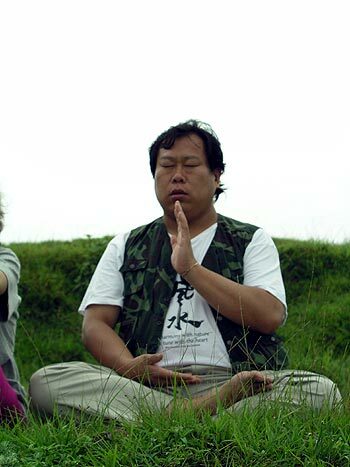 The practice from Levels One to Four is designed to enable the student to unite the disconnected inner yuans so that they can return to their original state. As a result, students go back to their source, experience enlightenment, and understand the meaning of Tao. There are many systems that seek to bring a multitude into one are, but they differ in the methods they use to achieve unification. • The Human School, in the Taoist system, is called Zhen-sen – Human and mountain. The goal of the practice is to enable the person to see everything, as if standing on a high mountain. One can see and achieve much further than regular people, which makes them a Master. The practice of Human Yuan facilitates good health and unusual abilities. One can control objects and events in nature and in life, as well as heal other people. The practitioner can prolong the existence of the physical body on Earth as much as desired, without experiencing damage or decay. Such people often withdraw in seclusion to the mountains, where they hide from any living thing. They can choose to release their souls on long journeys throughout the Earth or in other parts of the Universe in order to complete tasks whenever needed or desired. In the meantime, their bodies can stay alive and unaltered for hundreds of years. After death, Human School practitioners want to be reincarnated as Humans repeatedly. This school is practiced mostly in the Buddhist system and to a lesser extent within the Taoist system. • The practice of Heaven School enables a person to identify and blend with the entire Cosmos. In this state, one can move freely to any point in space and time in order to accomplish work or to understand one’s role in the evolution of the Universe. This school’s practitioners can communicate with other worlds and choose a residence for their souls after departing from this world. They tend to pay less attention to the Human, to the Earth, or to affecting regular daily life. Generally, they prefer not to reincarnate as humans; but if they wish to do that, they can. Adherents are mostly monks and people who live in seclusion. The school is common in the Tibetan system. • The Earth school promotes understanding of terrestrial evolution, so that one can work for the good of the planet and for the development of its civilization (in relation to the surrounding world and in accordance to the laws of the Universe). The school also teaches healing methods and how to work well with anything related to plants. For example, one can hold a seed to help it mature into a big, healthy plant or blow on a small plant to help it grow fast. This school’s practitioners love Earth – they love to live on it and do not wish to die and be reborn. They practice a lot in order to maintain healthy bodies for hundreds and thousands of years. This school is practiced in Tibet and China. All three schools exist in China and each has its Masters. The different branches of qigong usually incorporate one of the three schools. People who learn all three are considered to be the Greatest Masters. The ZY qigong system combines the schools of Heaven, Human, and Earth in order to achieve Tao. The first three levels of training focus on the Earth School; Level Four combines the Earth and the Human Schools; and Level Five combines the teachings of the Heaven, the Human, and the Earth Schools. Thus, everyone can choose how far and in what direction they want to develop. But to become a great qigong Master, one needs to know them all. When practitioners unite all inner and outer yuans, they become complete beings who understand physical reality, comprehend themselves, know the meaning and the purpose of their existence here, and realize their place in the Universe. The highest goal of ZY qigong is to enable the average human to become a complete, cosmic being who understands other people and the laws of the Universe, lives in accordance to these laws, consciously accomplishes one’s goals, and is not attached to one’s physical body. Vadim Derevyanko was practicing Gong Fu Long Hu Quan since 1987 and big part of the training program was martial Qigong, which became a good experiece in Qigong practice (Qi (Chee) - energy, Gong - practice with ... , skill). In 2006, after living in US for some years Vadim decided to connect his life with Chinese Medicine in which he was interested for many years, and started study in Acupuncture and Integrative Medcine College in Berkeley. In March of 2007 he successfully graduating from the program and started teaching Qigong classes as an instructor at the college and opened his practice "Chinese Medicine Bodywork". In 2007 started learning Zhong Yuan Qigong from books by Tamara Martynova and Grandmaster Xu Mingtang. In 2008 Vadim started learning Chen Family style Tai Ji Quan under sifu Wong Wei Yi. In June of 2009 first 5 days intensive ZYQ seminar Level 1 and 2 with Grandmaster Xu Mingtang at Still Meadow, Oregon (near Portland) along with his first teacher in Medical Qigong and now friend: Suzanne Friedman, LAc., Doctor of Medical Qigong. In 2010 after starting in San Francisco Bay Area branch of Zhong Yuan Qigong and organizing presentation in AIMC presentation of Grandmaster Xu Mingtang on subject of Image Medicine - Vadim and Suzanne recieved certification of instructors of ZYQ Level 1. 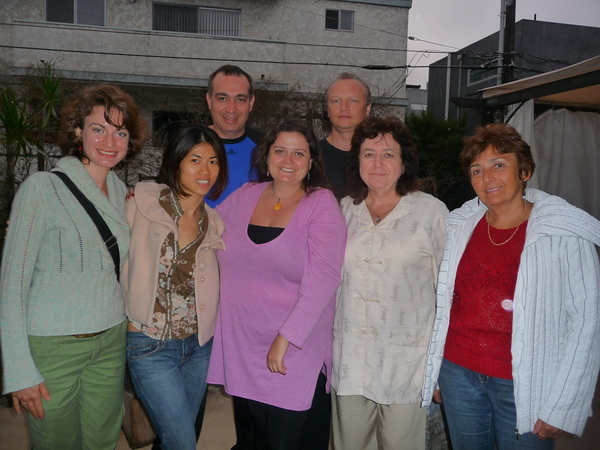 From January of 2010 Vadim started working at AIMC as a supervisor of Medical Qigong Clinic. In June of 2010 -- 5 day intensive ZYQ seminar Level 3 in Still Meadow, Oregon and Level 4 in Seattle, Washington with Grnadmaster Xu Mingtang, followed by Initiation in leneage of Personal Students of Grandmaster Xu Mingtang. Now Vadim has students that study with him for more than a year Zhong Yuan Qigong and were able already achieve good results in Qigong practice. He teaches on a weekly basis in Berkeley and Walnut Creek. ZYQ seminar Level IV in Seattle with Grandmaster Xu Mingtang (left).